Most would be aware of the fact that the Ministry of Defence and the Army Headquarters had withdrawn the appeal filed by them in the Supreme Court against grant of substantive ranks to Short Service Commissioned Officers (both men and women) commissioned under the old terms (5+5+4 years) as implemented after acceptance of the AV Singh Committee Report. The benefits had been refused due to a self-created negative stipulation though no such prohibition had been imposed by the Cabinet which had extended the benefits to all Permanent and Short Service Officers without distinction. 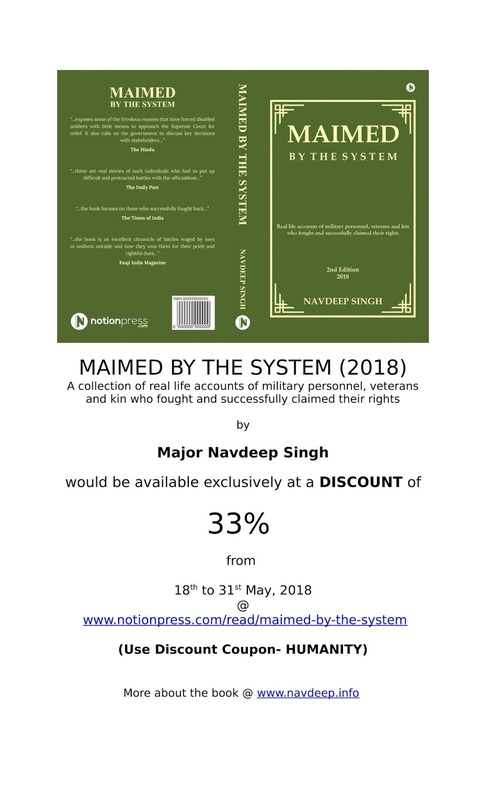 When the Armed Forces Tribunal had directed the Government to extend the benefits to affected officers, the decision of the AFT was challenged in the Supreme Court. The appeal was however withdrawn earlier this year on the intervention of the current Raksha Mantri. The details of the decision can be accessed through this news-report that appeared in The Week. Now, the Government has issued a policy dated 10 May 2018 extending the said benefit to all similarly placed officers, including those who had not approached Courts. Though there are additional conditions imposed in the policy which were never imposed by the Courts, the step is in the right direction since it results in avoidance of unnecessary litigation on the subject.